In late 1800’s Utah, the young adult children of an infamous and incarcerated outlaw come under attack after their father escapes from prison and his family becomes the target of lawmen, bounty hunters and bandits. The children must reunite with their estranged father and stave off hordes of bloodthirsty gunslingers en route to safety across the border in Mexican territory. 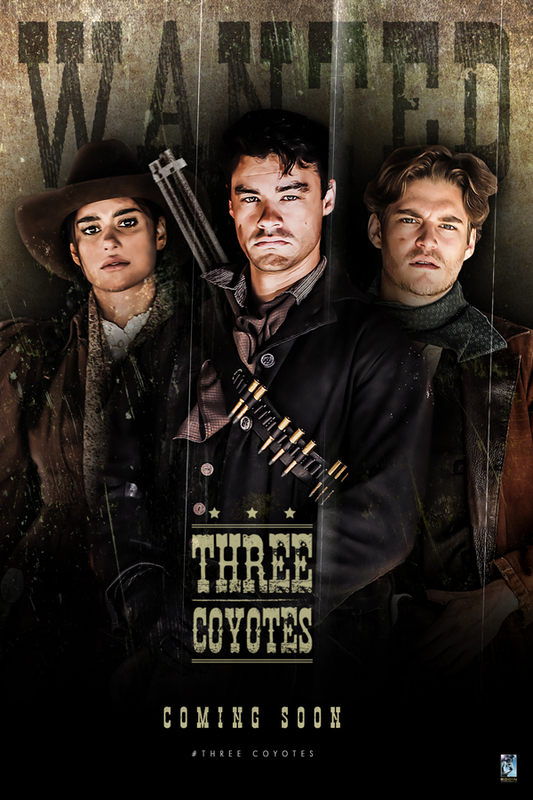 In the vein of classic, legendary westerns such as Unforgiven and 3:10 To Yuma , Three Coyotes is a character-driven action-adventure film blending modern sensibilities with old school storytelling. This movie marks the next evolution in the western genre. The story of the Munroe family begins with Walter and Desi , who were the Bonnie and Clyde of the Wild West — a duo of bank robbing lovebirds who amassed a fortune and a following of other likeminded outlaws during their heyday. As their gang grew in numbers and notoriety, so did the ambitions of Walter’s right hand man, Wayne Cullen , a two-faced mutineer who betrayed Walter and left him for dead. But Walter survived thanks to the lawmen who dragged him behind bars and sentenced him to life in prison. On the outside, his wife, Desi, went into hiding with her three young children , raising them in seclusion, never revealing the true identity of their father and his criminal past. They grew up believing he was humble miner who died in accident. We meet them in their young adulthood, and their whole world turns upside down when lawmen arrive to inform them that their father is alive, recently escaped from prison. His ex-partner, Cullen has discovered the location of their rural hideout and he’s most certainly on his way to take the Munroes hostage, or worse, butcher them. And when he arrives, an epic shootout erupts, with the matriarch, Desi, sacrificing herself to save her children. On the run now from both the law and lawless, the Munroe siblings must unravel the mysteries of their past and grow up fast if they want to survive.